Cairo, Jan. 27 (SUNA) - The Conference of Arab and India Foreign Ministers has affirmed its solidarity with Sudan in its efforts to achieve peace and stability, peace and development. The conference has welcomed the National Dialogue Conference which was launched in Sudan. The conference has called on all the armed movements to participate in the dialogue and to respond to the initiative of the President of the Republic, Field Marshal Omer Al-Bashir. 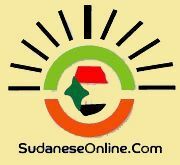 In a press statement, Sudan Ambassador to Egypt and Permanent envoy to the Arab League, Abdul-Mahmoud Abdul-Halim, said that the conference has called on the concerned international parties to abide by their pledges to write off Sudan debts and to resume extending development aid to Sudan, like other countries emerging from conflicts. Sudan delegation to Conference of Arab Foreign Ministers and India was headed by the Foreign Minister, Prof. Ibrahim Ghandour. Ambassador Abdul-Halim said that the conference has called for lifting the unilateral sanctions that were imposed on Sudan on ground that these sanctions impedes realization of sustainable development and pose a violation of the right of Sudanese people to achieve development.